Hunter syndrome (HS) is a rare X-linked lysosomal storage disorder which affects multiple organ systems. Surgical intervention and general anesthesia should be used with caution because of significant airway complications. Two HS patients underwent surgery with different prognosis are presented below. 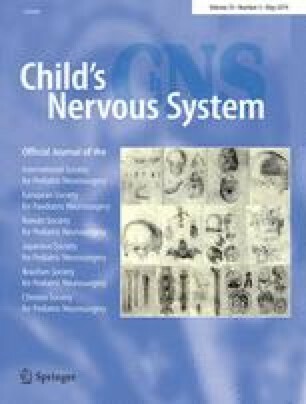 In the first case, symptoms of progressive disabilities on motor function, language, intelligence, and development last for 1 year in a 6-year-old boy; magnetic resonance imaging (MRI) showed severe hydrocephalus. Third ventriculostomy was performed in this patient to relieve the hydrocephalus. Unfortunately, this patient died postoperatively due to postsurgical tracheal collapse. In the second case, an 8-year-old girl was referred to our hospital with epidural hematoma because of a falling accident. Trephination surgery was performed under local anesthesia to remove the hematoma. Three days postsurgical, the patient was discharged uneventfully. General anesthesia in HS patients was associated with poor prognosis due to respiratory complications. Local anesthesia and less intensified treatment should be recommended. Jin Li and Xinyan Zhang contributed to this work equally. The authors declare that the study was conducted in the absence of any commercial or financial relationships that could be construed as a potential conflict of interest.